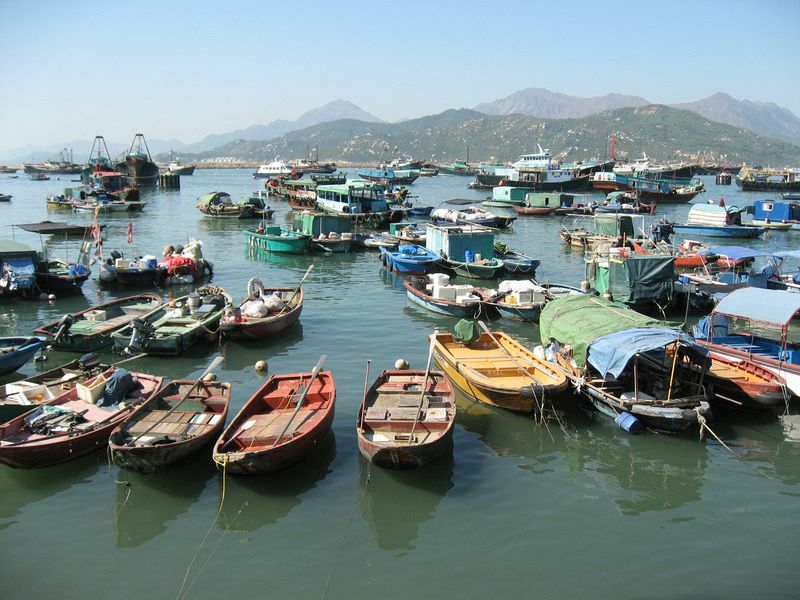 The first thing to catch your attention is the never ending rows of sampans and fishing boats along the Cheung Chau harbor. 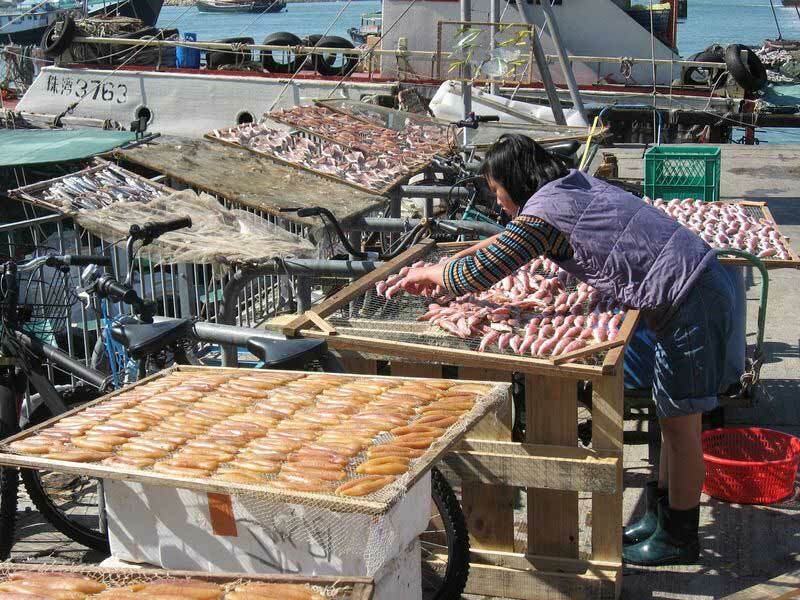 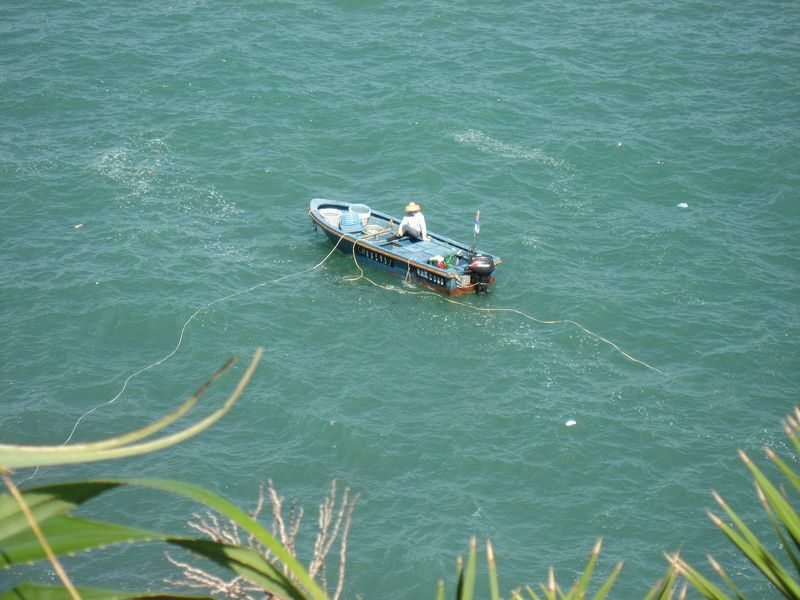 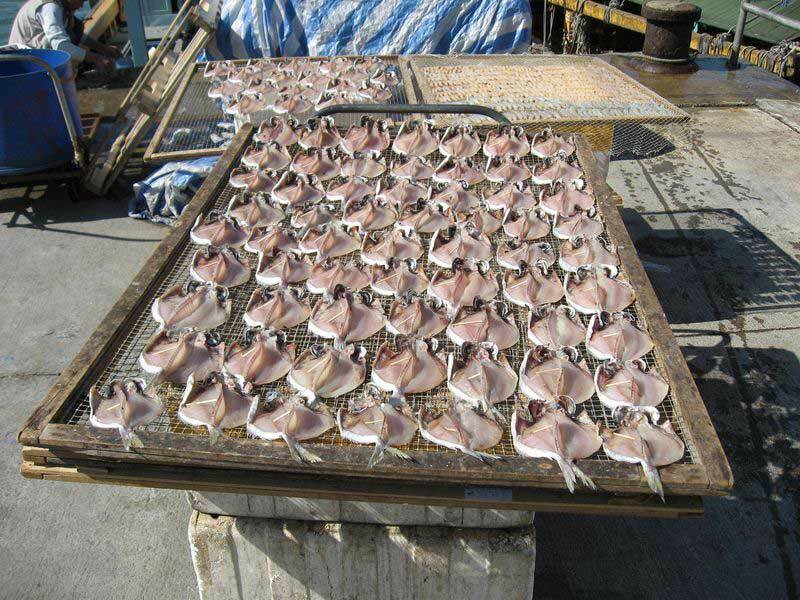 Then the multitude of fishermen that go on their daily business drying up the fresh catch of the day right on the seafront or prepare their Junks for the next day at sea. 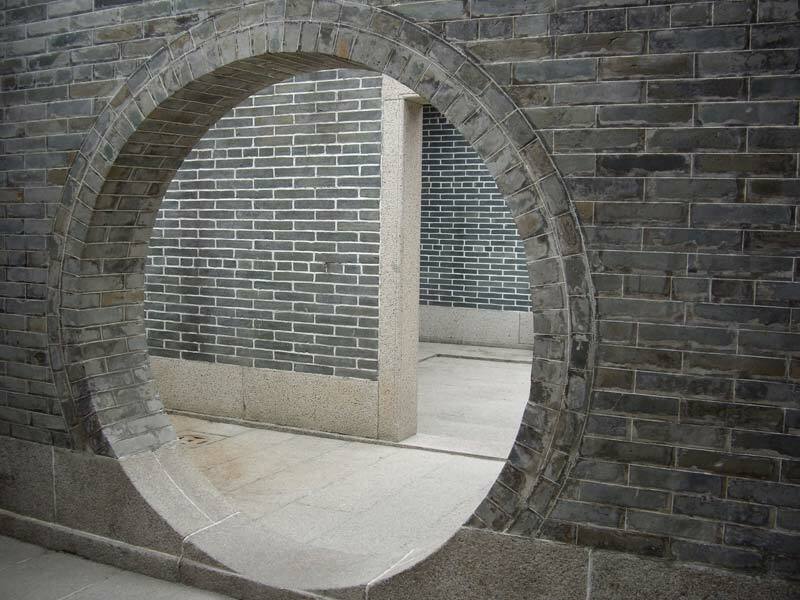 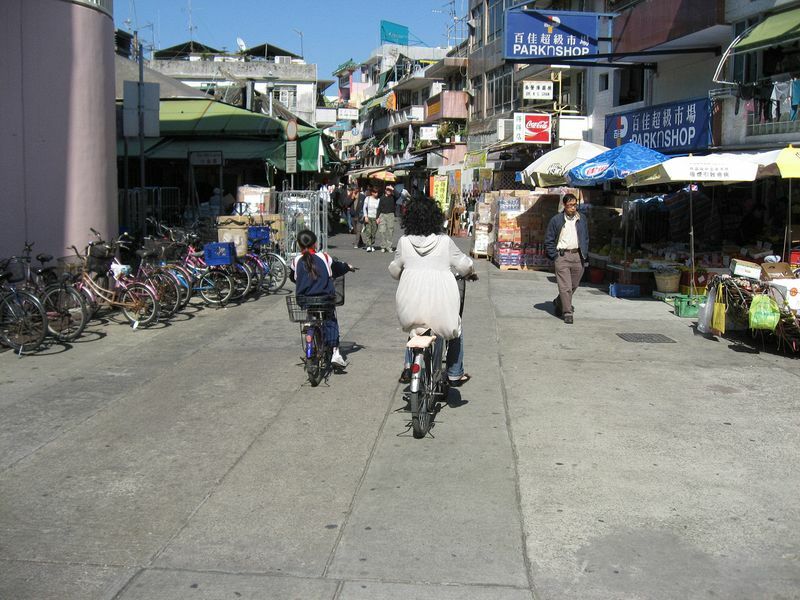 Inside the village you will find a small labyrinth of alleyways that are fun to roam around and get lost in. 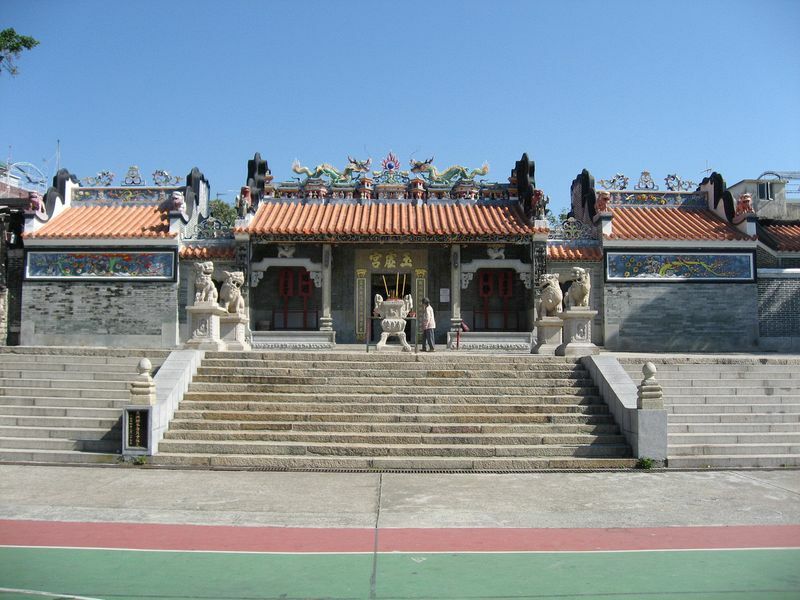 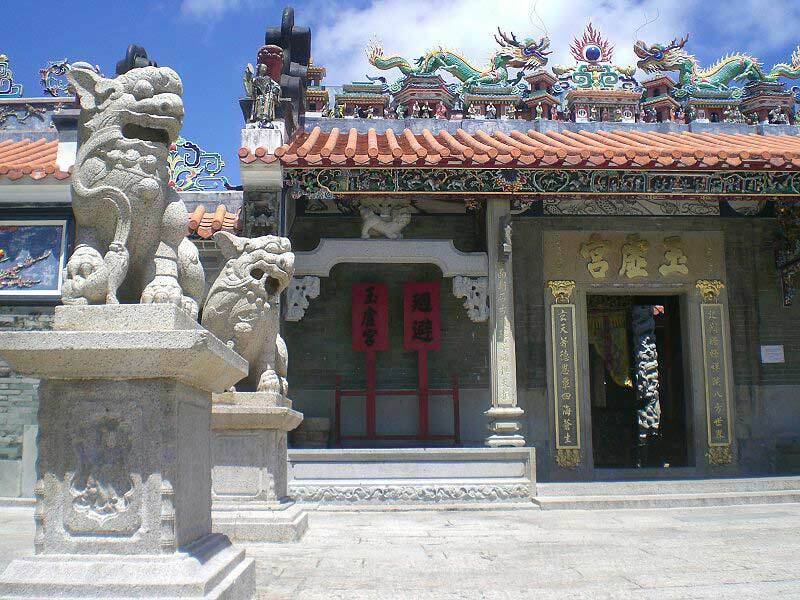 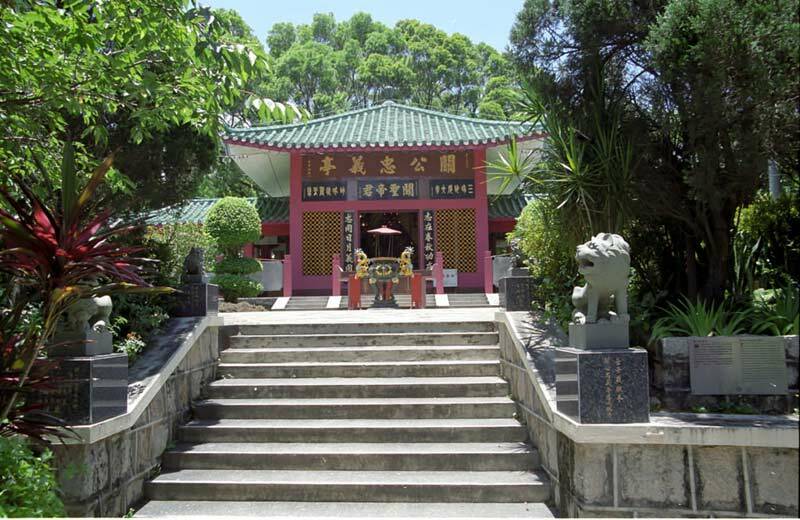 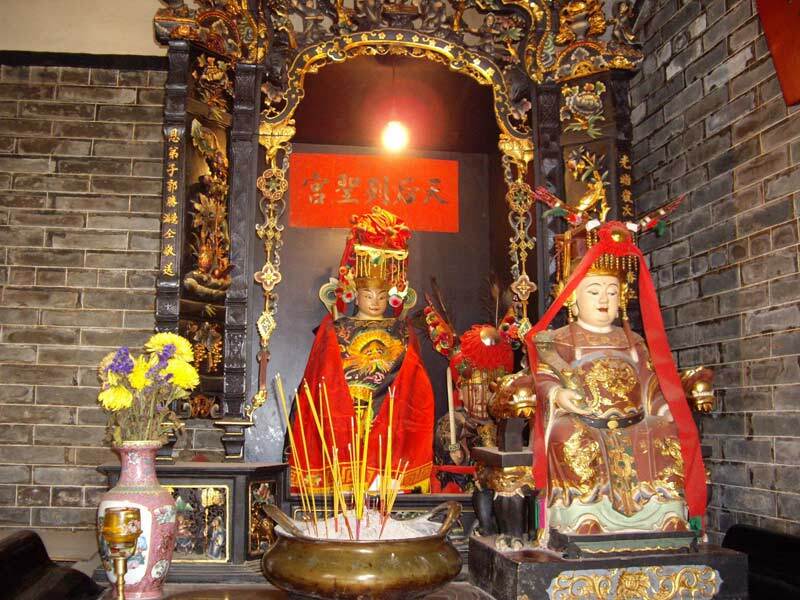 The oldest temple of the Island it is dedicated to Pak Tai (Supreme Emperor of the Dark Heaven in English) God of the sea who is venerated for having saved the island from the plague and marauding pirates in the 18th century. 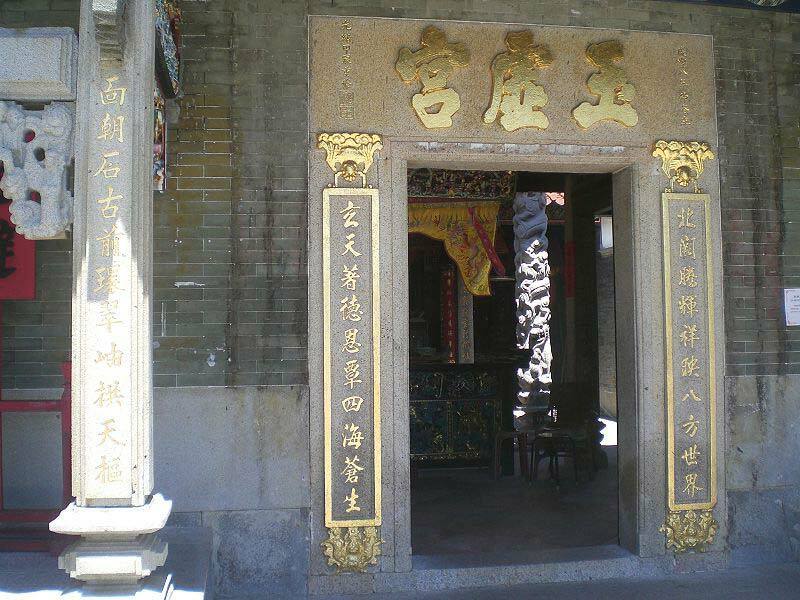 Entrance is free but a small donation is traditionally given for the visit. 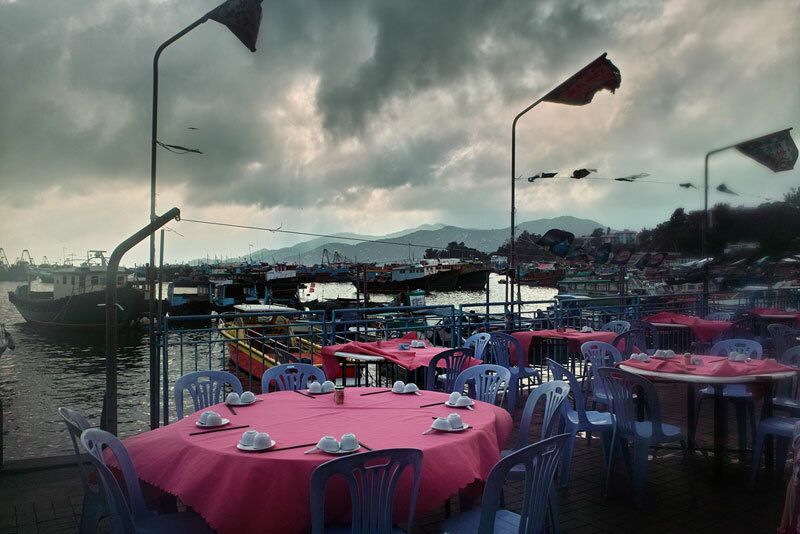 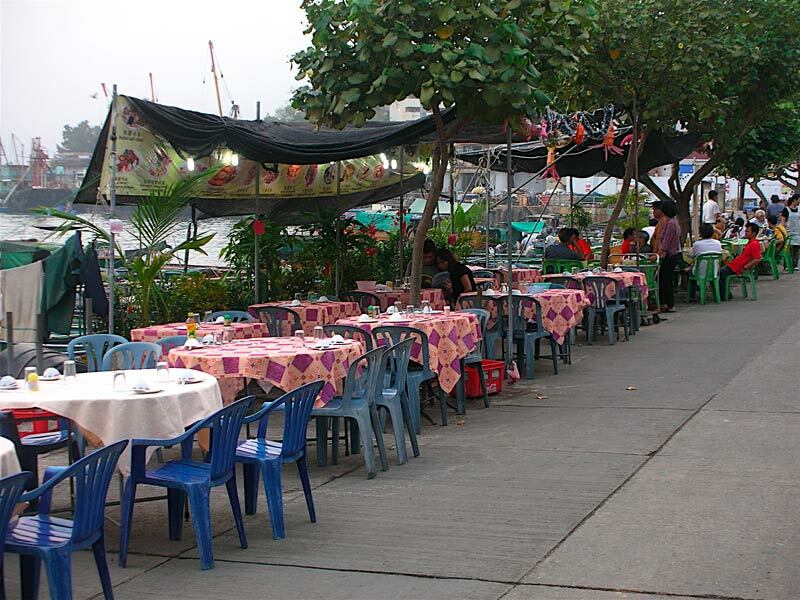 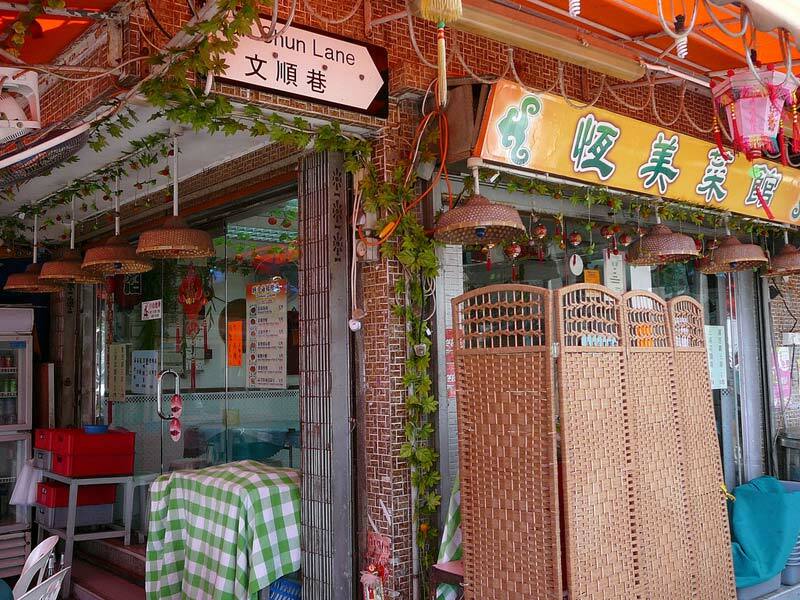 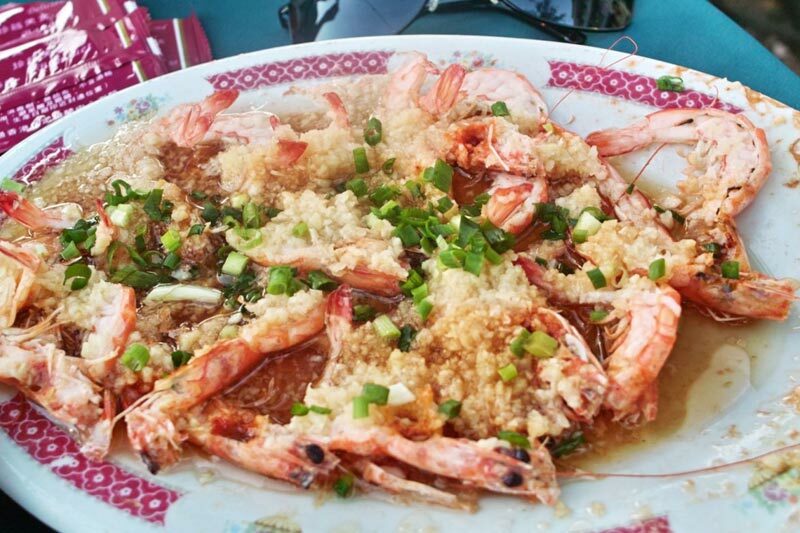 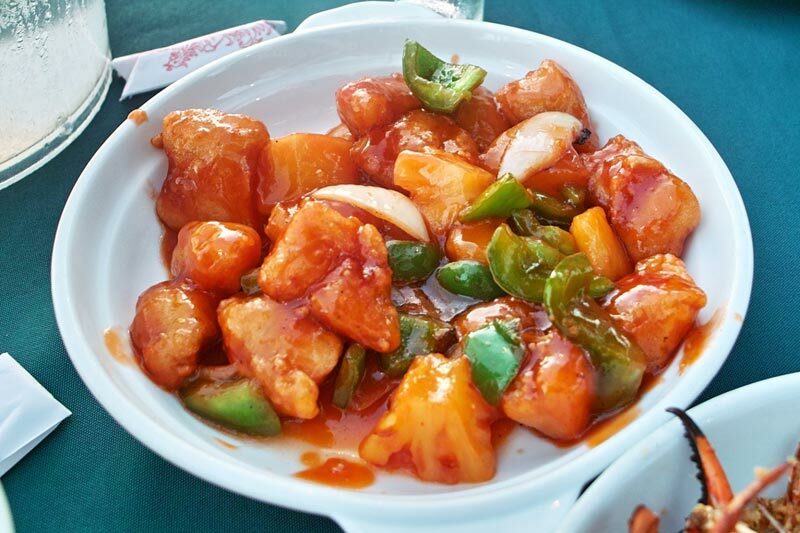 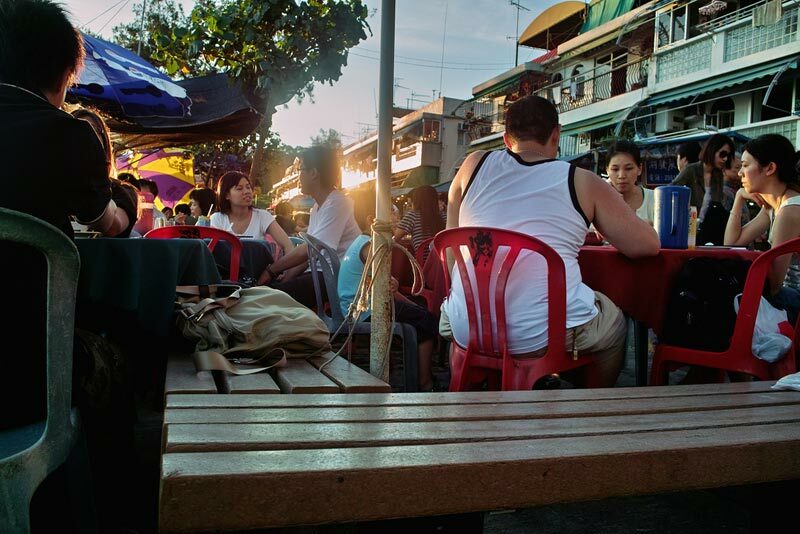 The island is famous for it’s inexpensive Cantonese seafood restaurants that are found all along the waterfront on She Praya road. 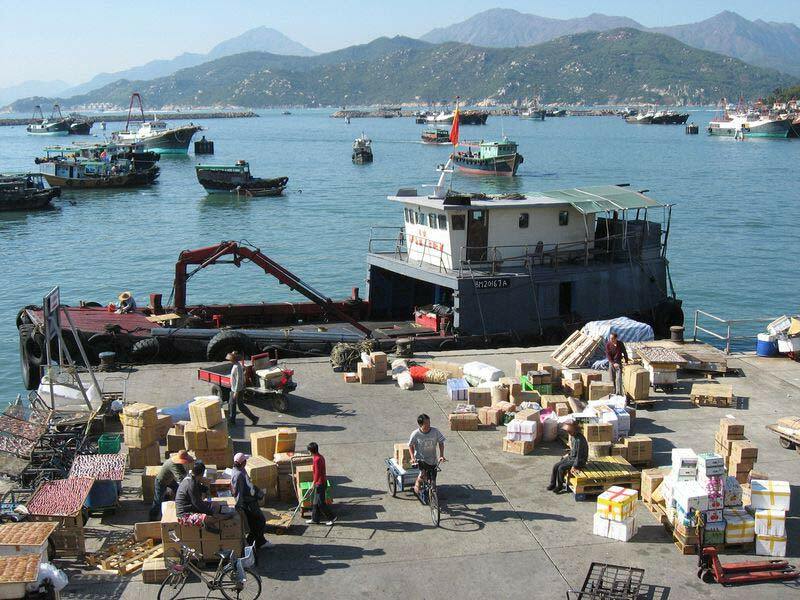 You can’t really miss them as they are the first thing you will see left and right when disembarking from the ferry. 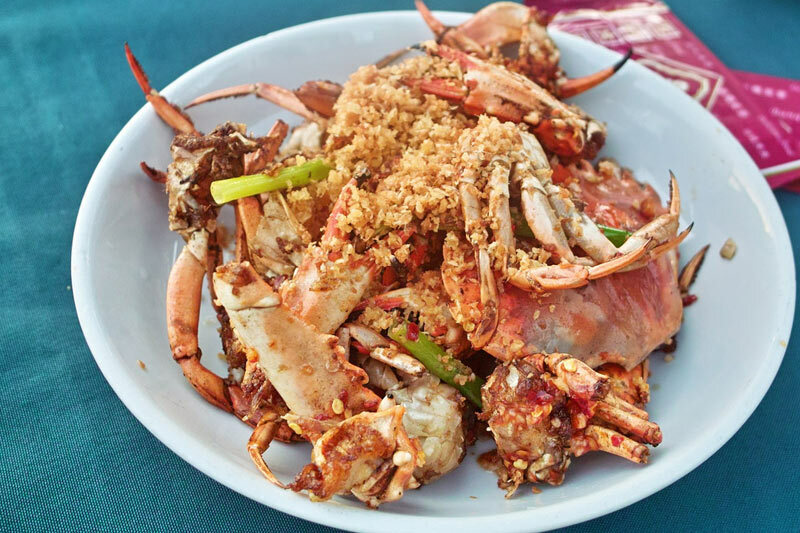 Pick from the restaurants live tanks what you want to eat from the wide variety of crabs, lobsters, prawns, shellfish, squid, tropical fish, prawns, etc. 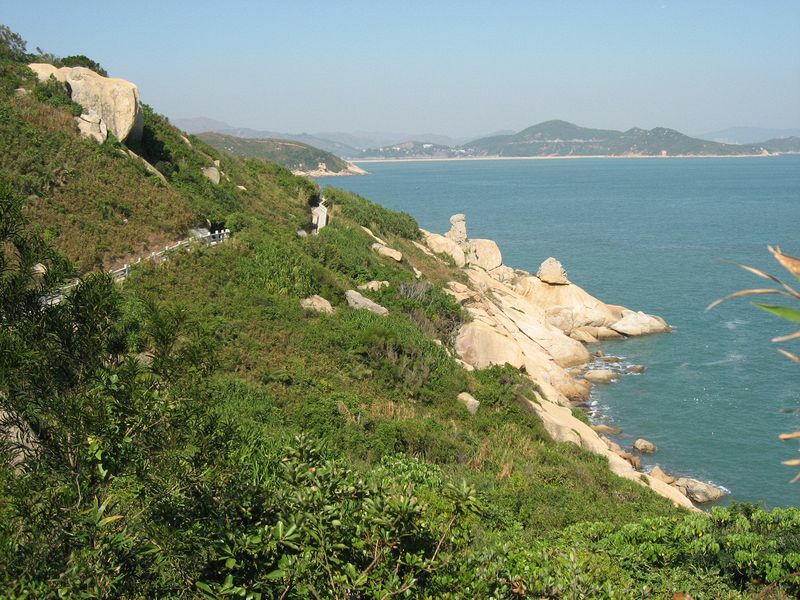 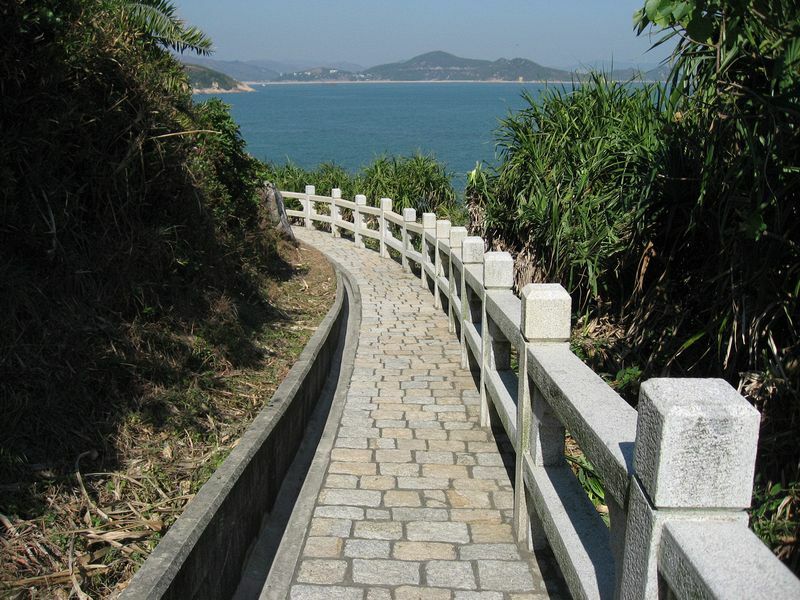 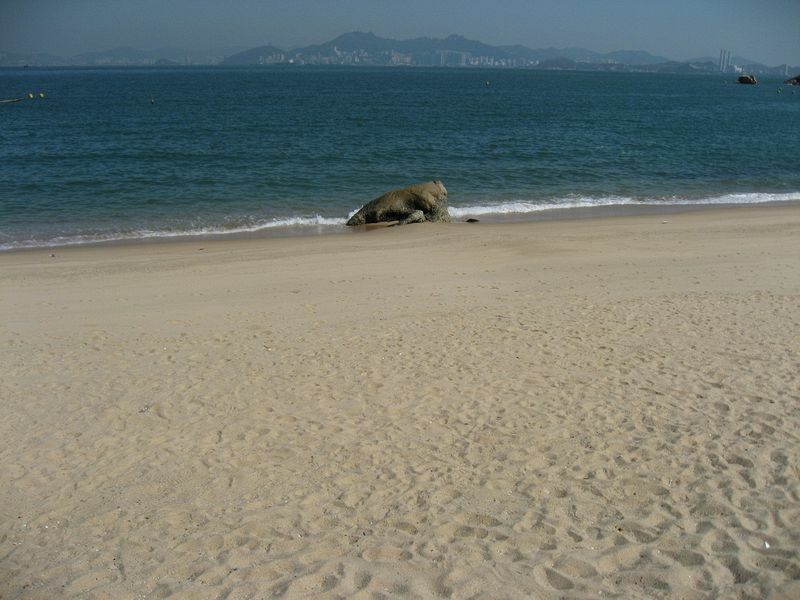 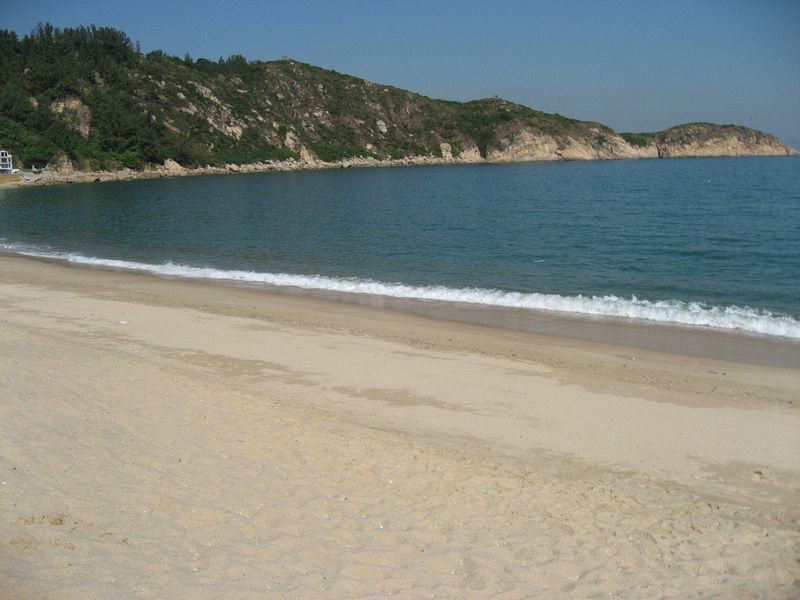 On a hot summer day one of the most popular places to head to would be the 150 meters of Tung Wan’s sandy beach. 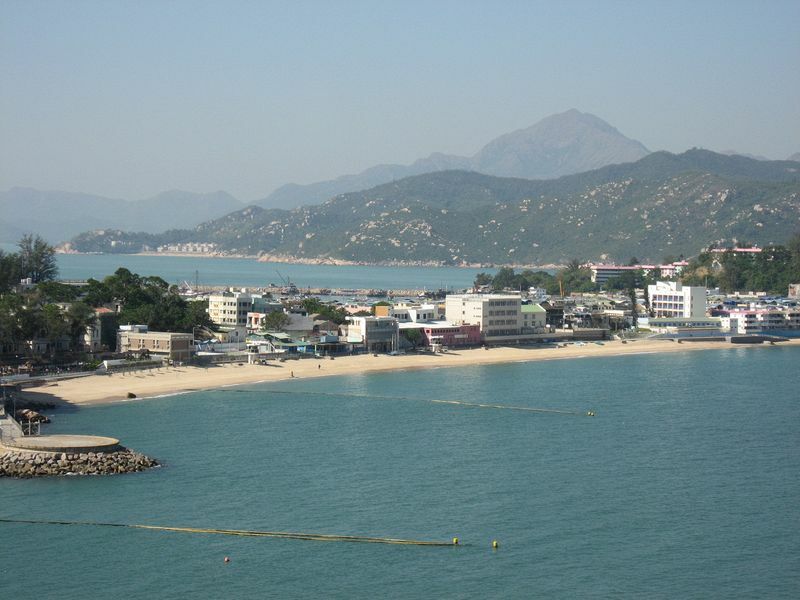 Located just a few minutes walk from the ferry terminal on the opposite side of the island it is sure to be the idea place to get a tan, swim, windsurf or rent a sea kayak. 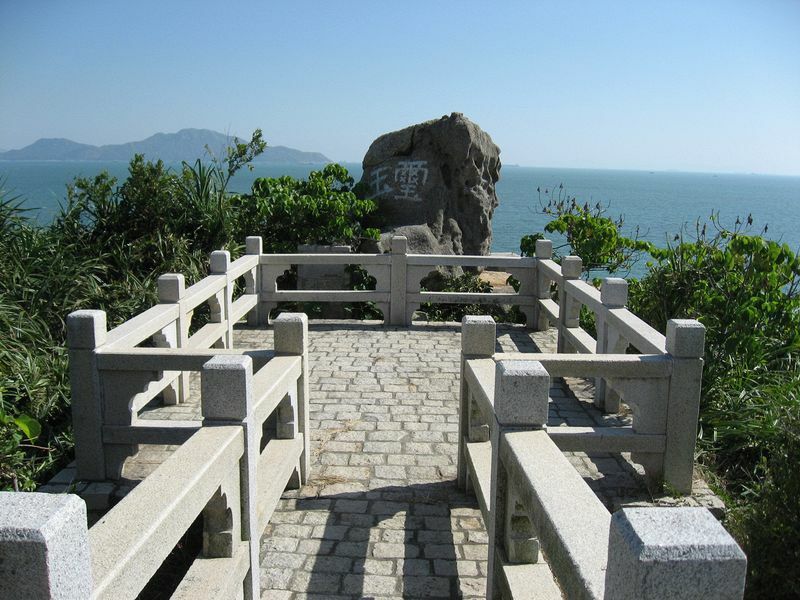 There are also a very pleasant coastal trails that take you across the whole island where you can enjoy the scenery of small rural valleys, caves, secluded beaches, small villages and their temples. 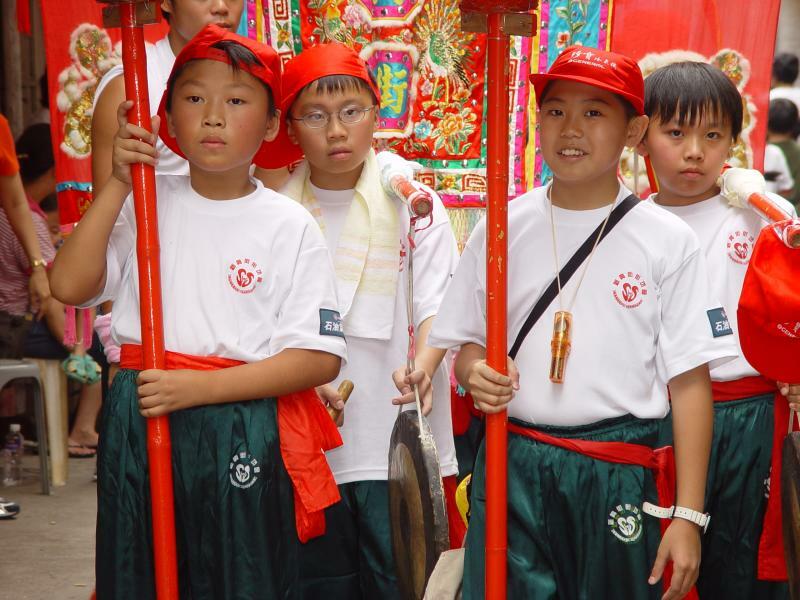 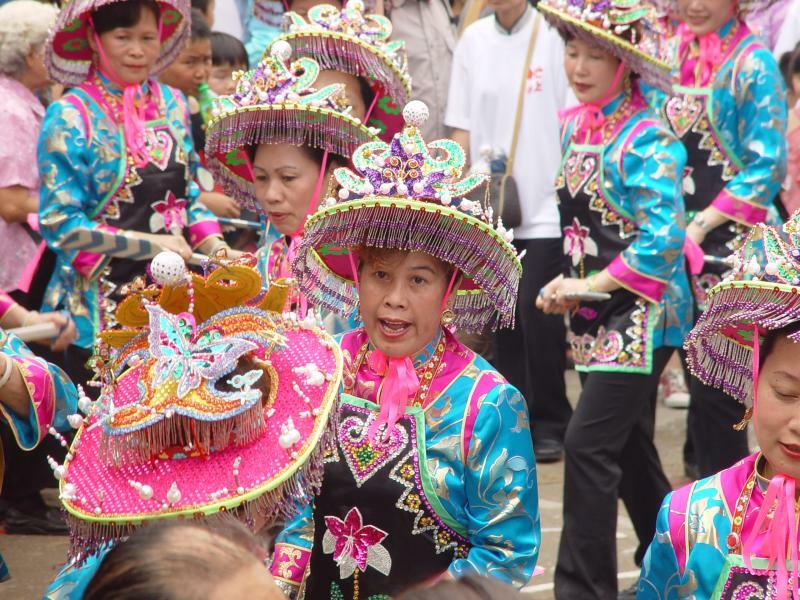 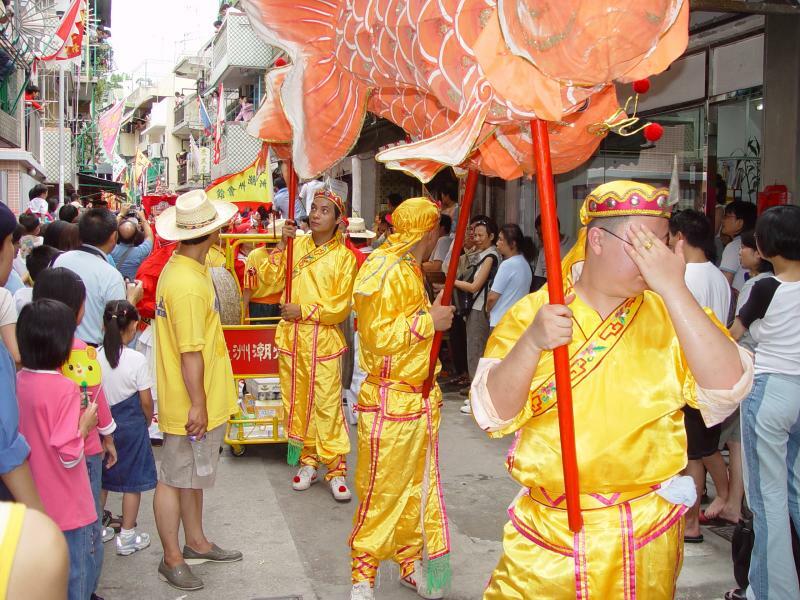 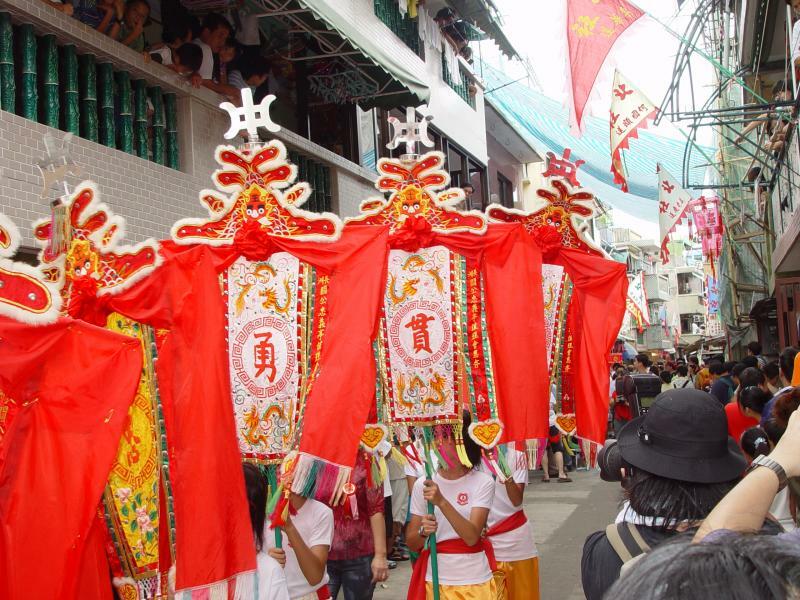 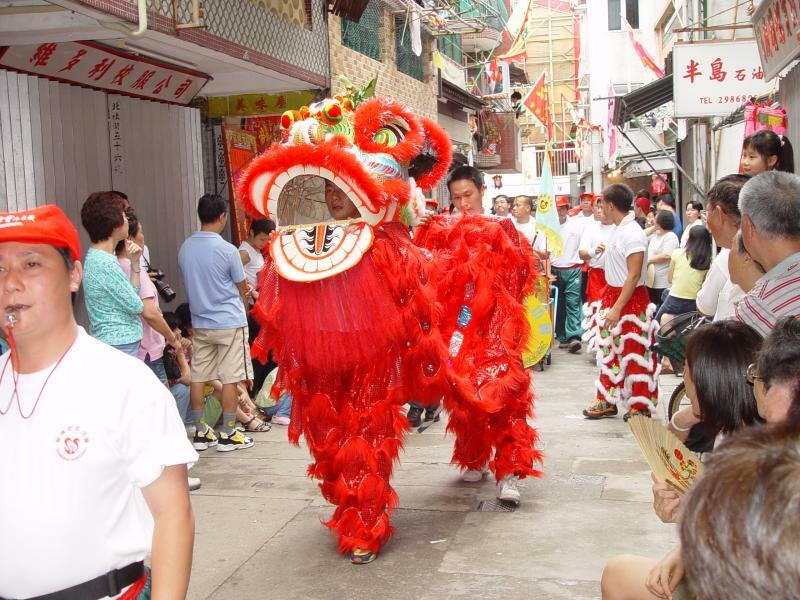 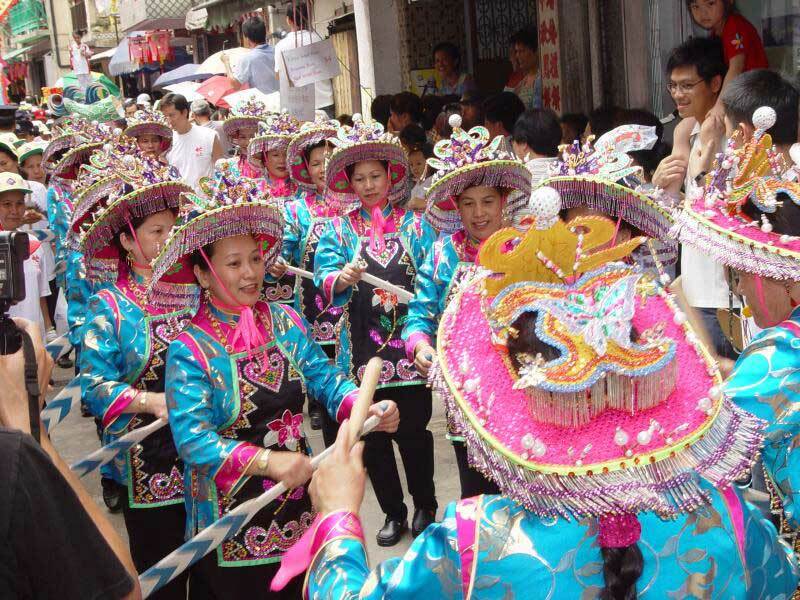 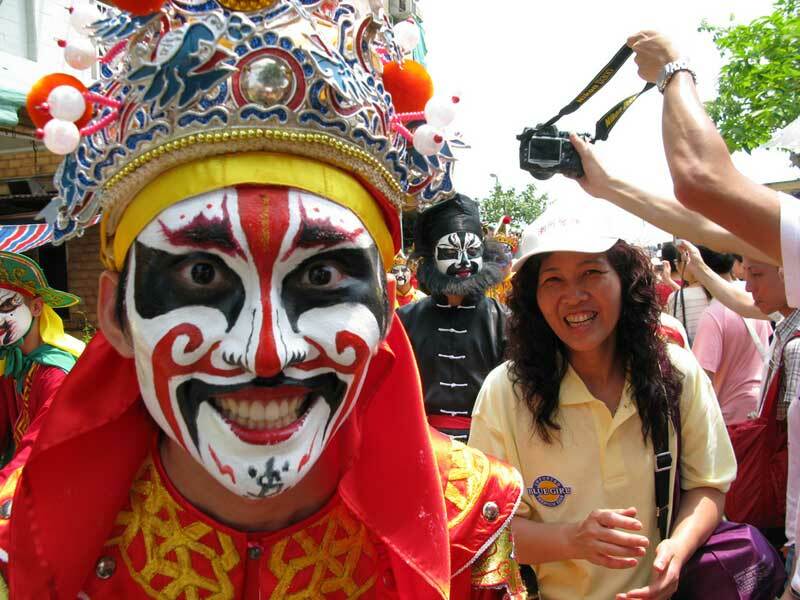 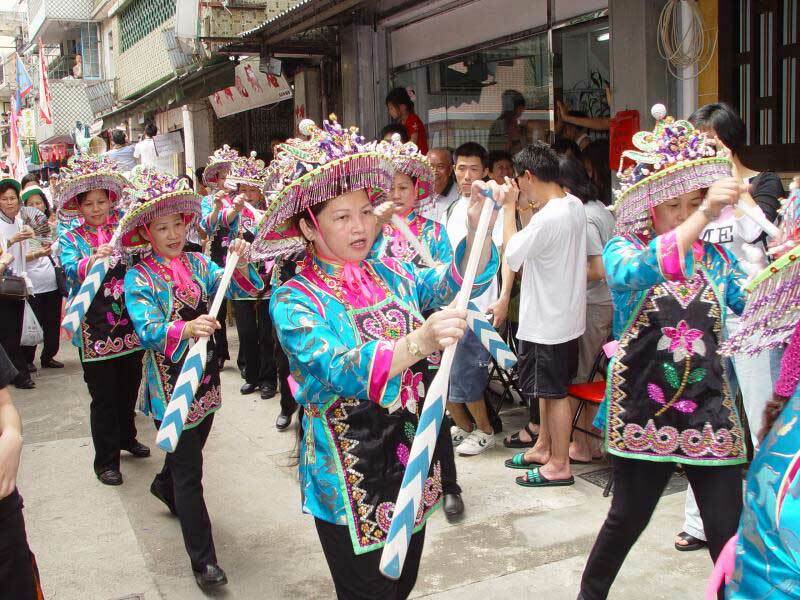 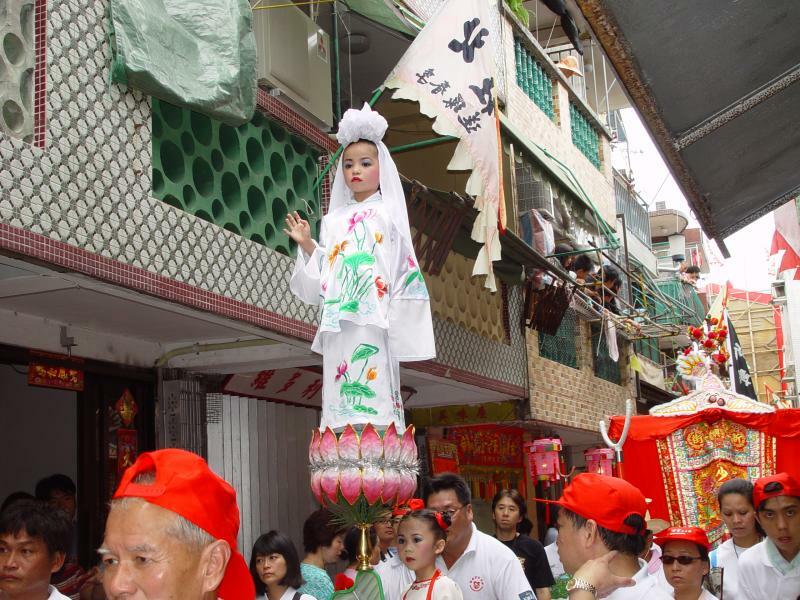 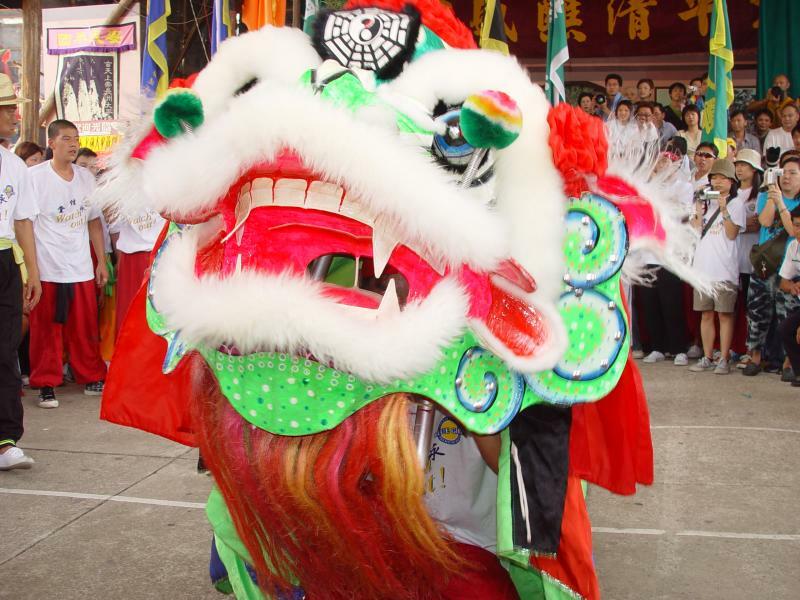 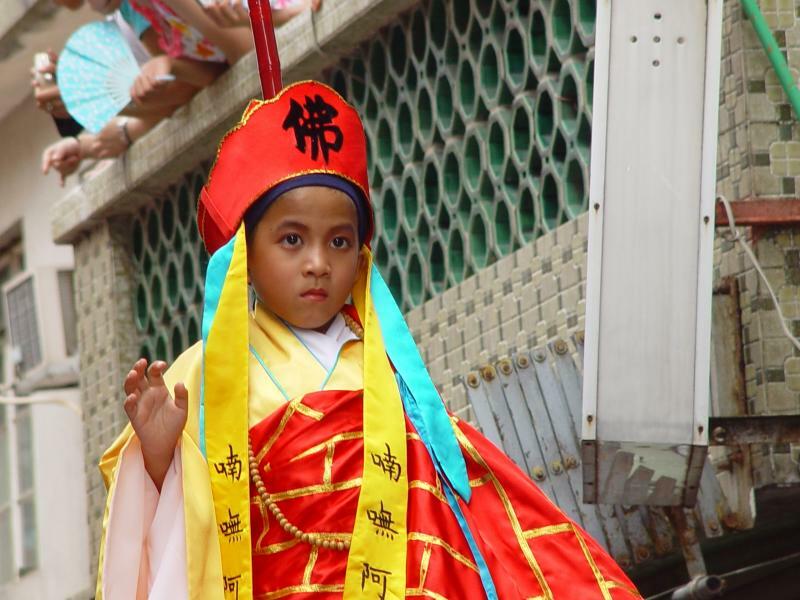 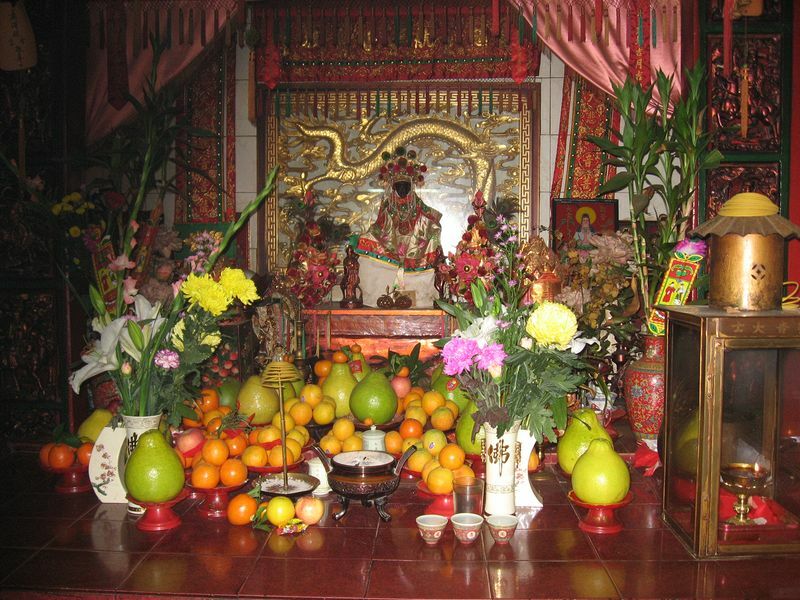 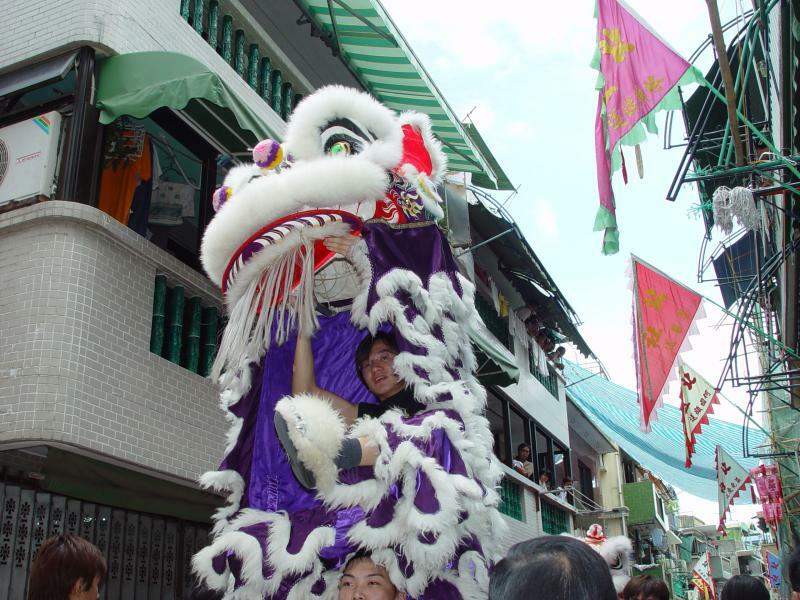 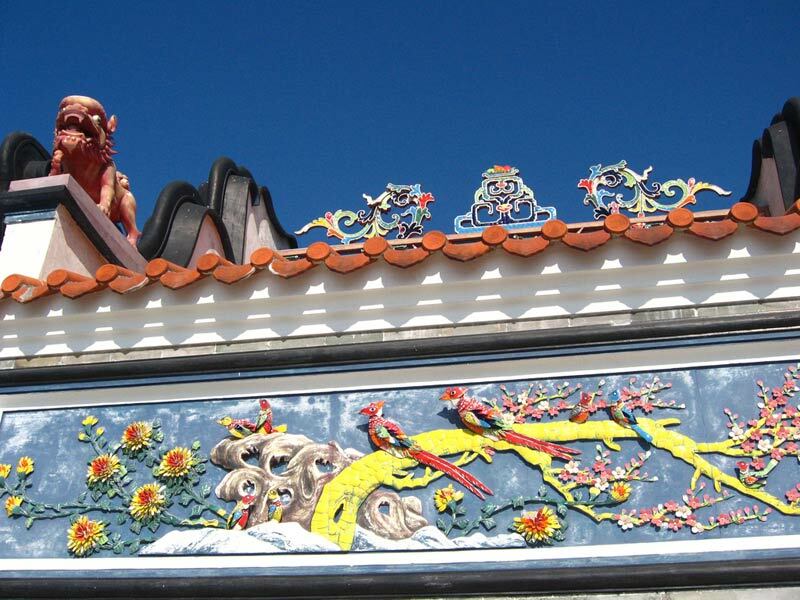 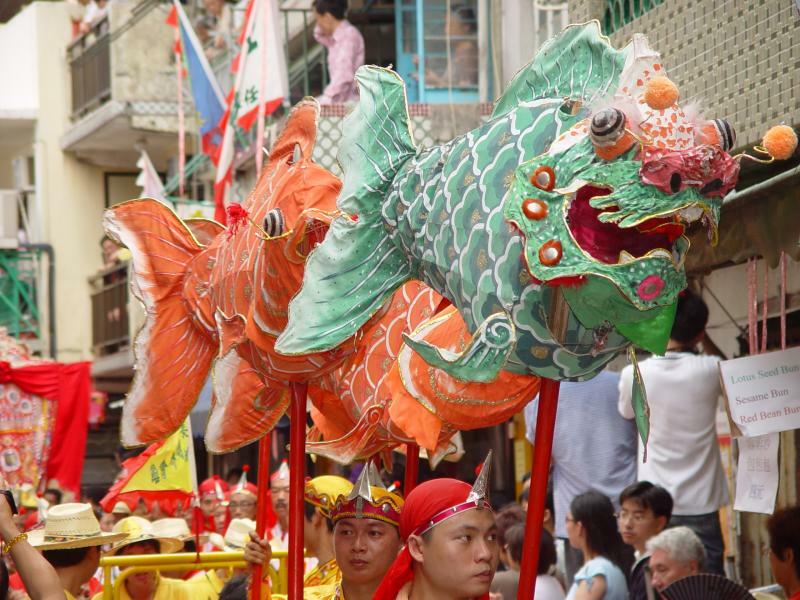 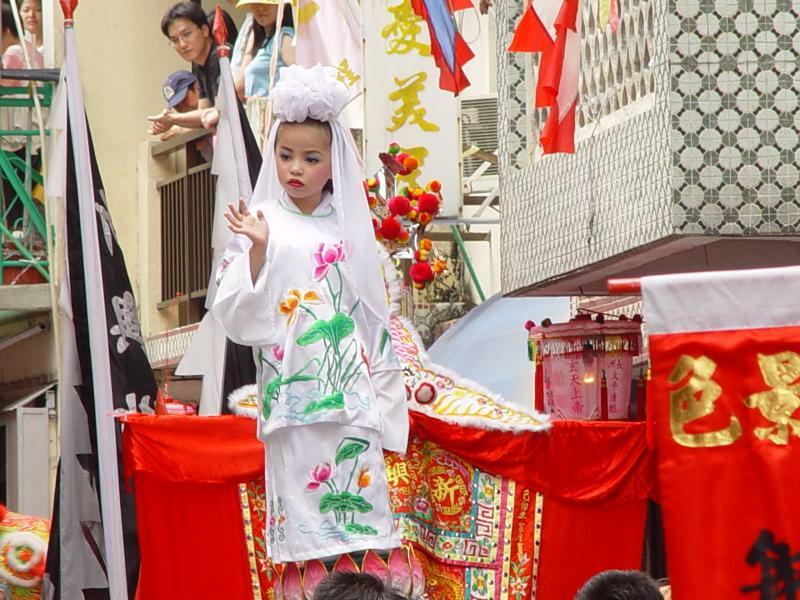 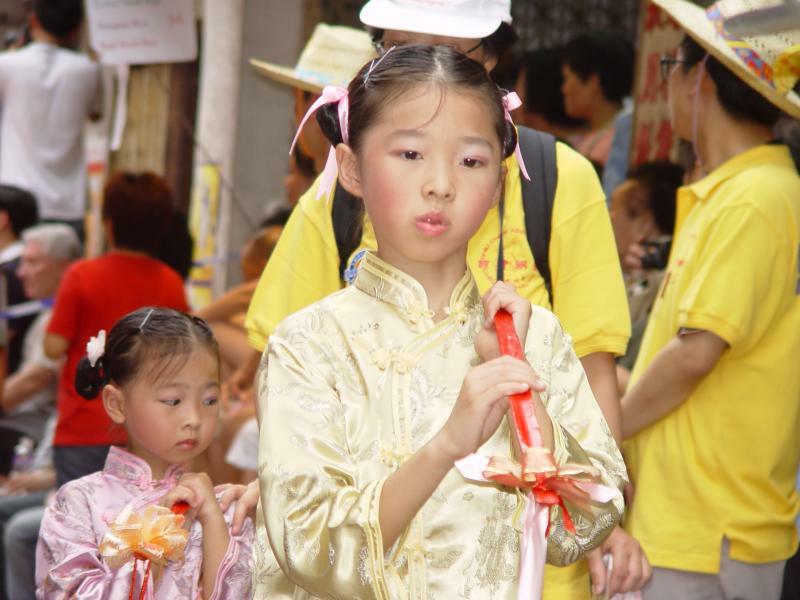 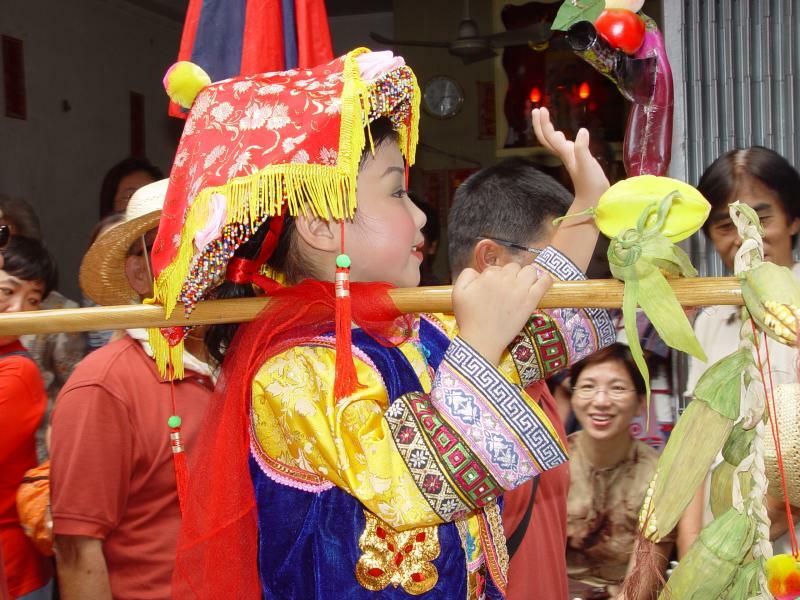 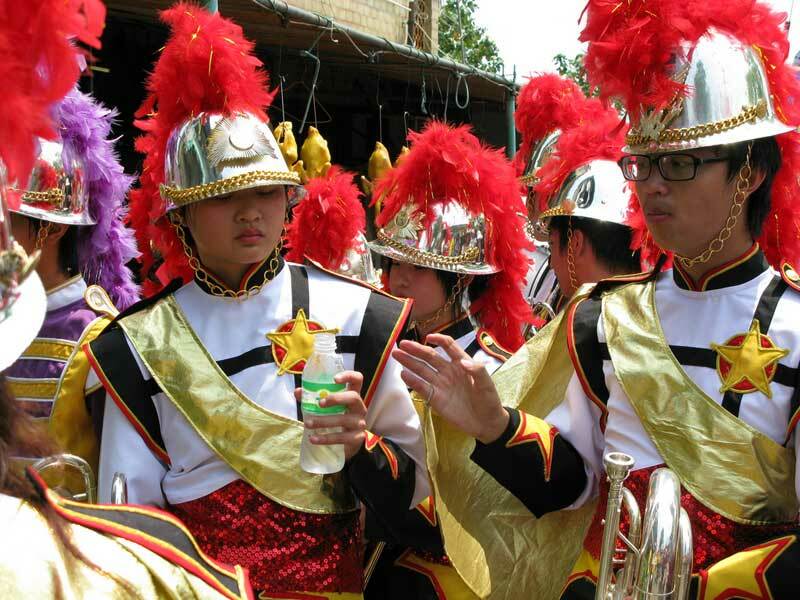 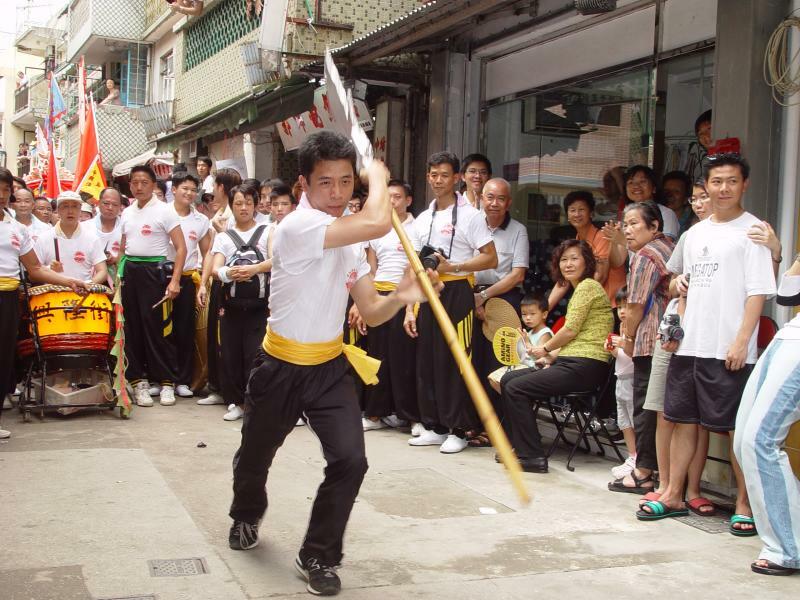 Celebrated every year at the 8th day of the 4th moon (generally falling in Mai) the Cheung Chau Bun Festival was originally held to commemorate Pak Tai’s divine intervention ending the outbreak of bubonic plague which saved the inhabitants of the Island. 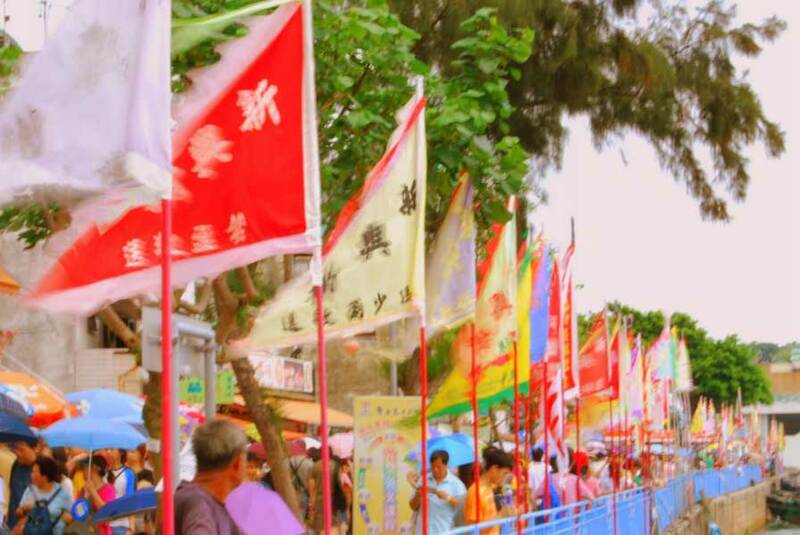 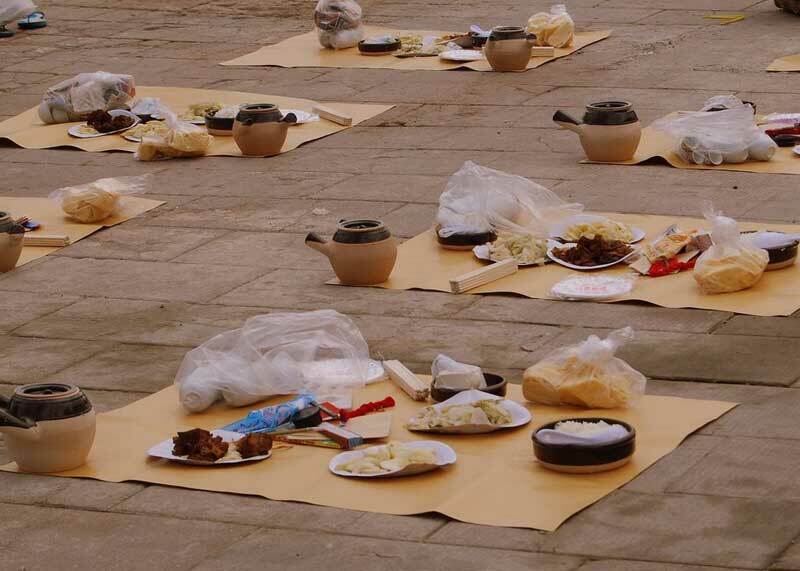 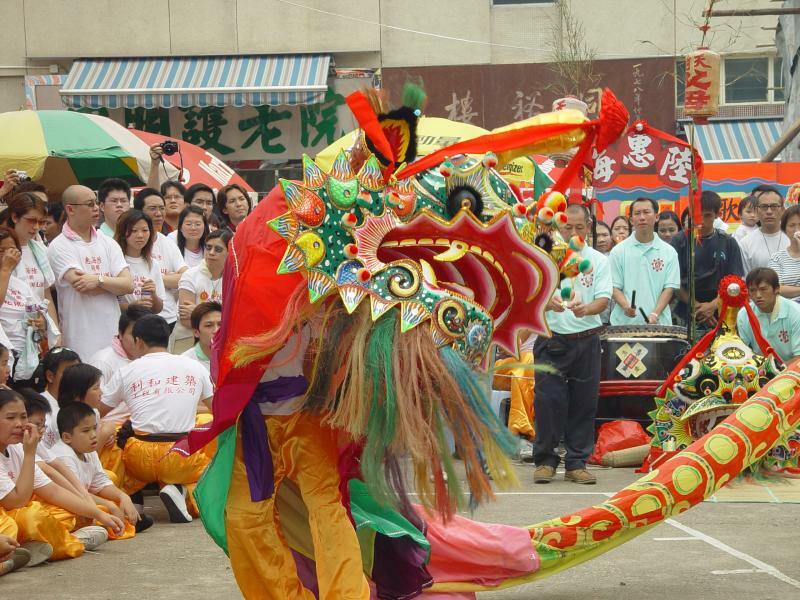 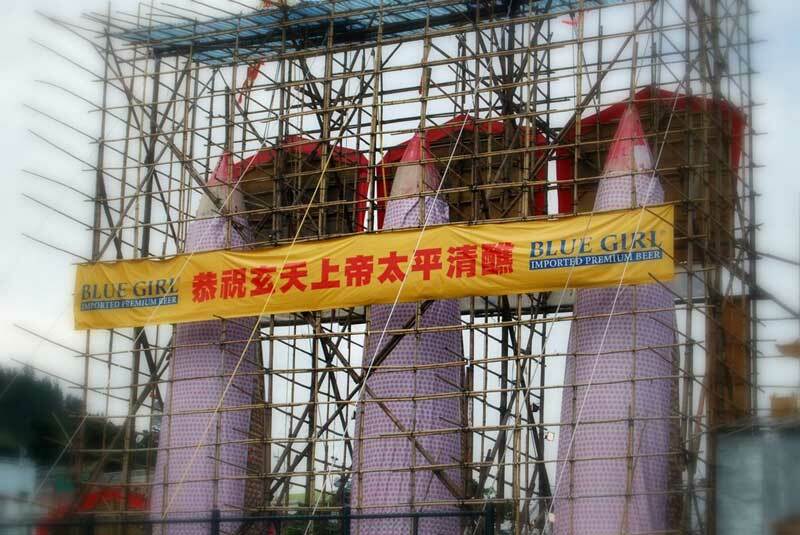 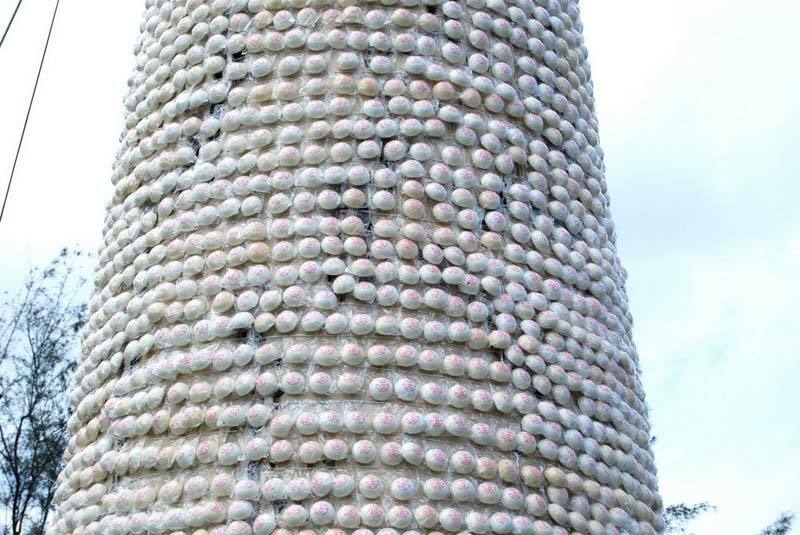 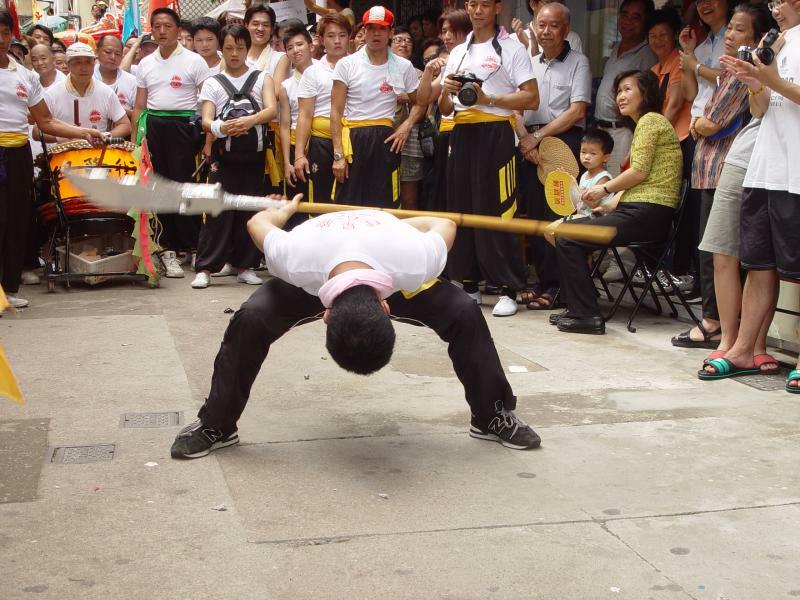 Others also state that the Festival was held to bring peace to wandering souls of residents killed by pirates who regularly raided the island during the Qing dynasty. 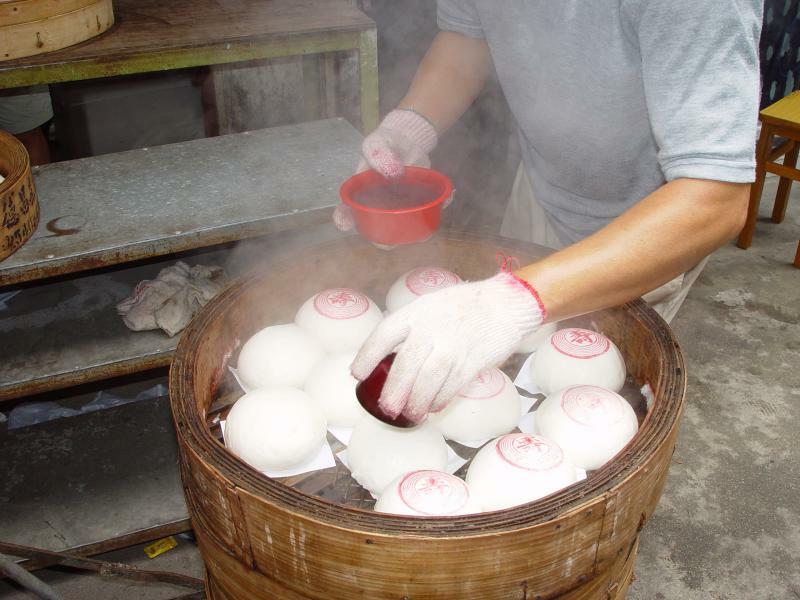 These buns are offerings to the resident ghosts of Cheung Chau. 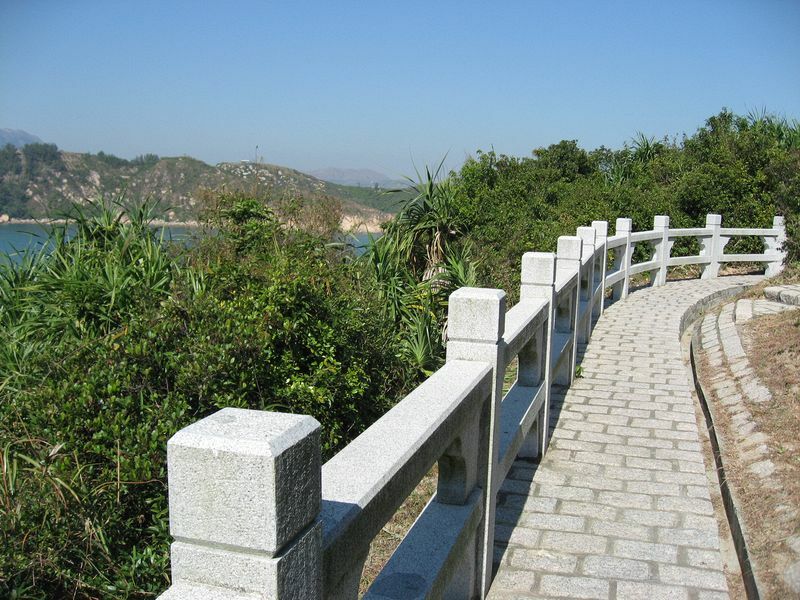 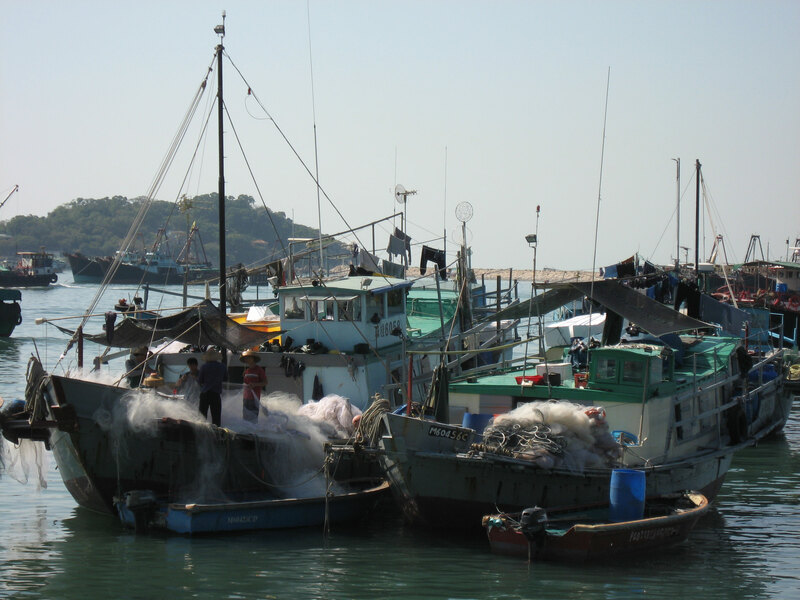 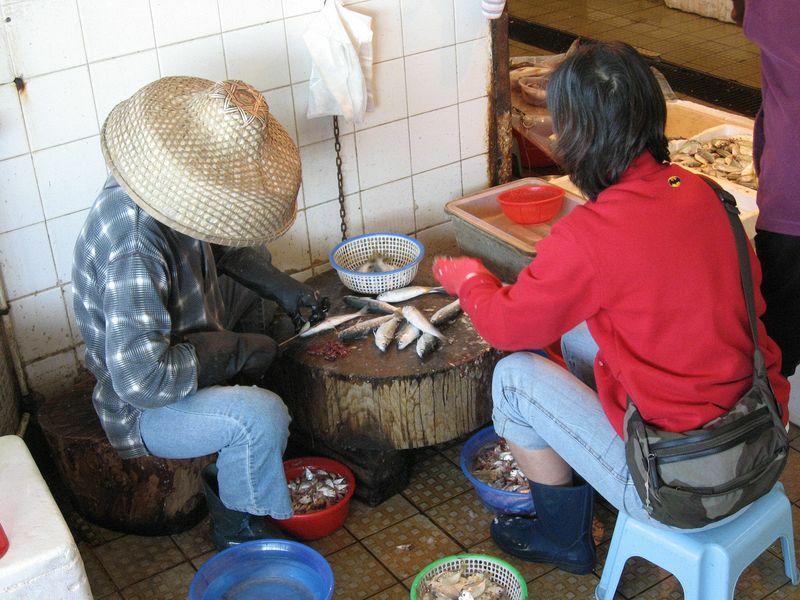 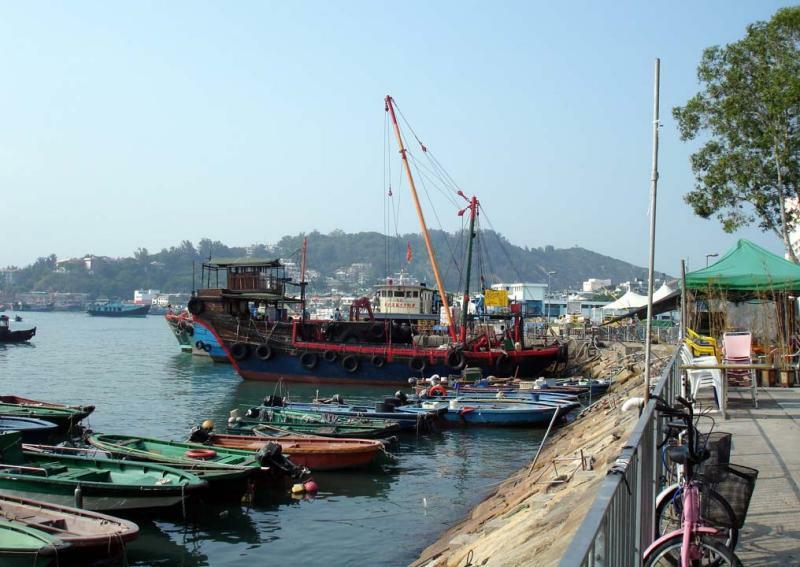 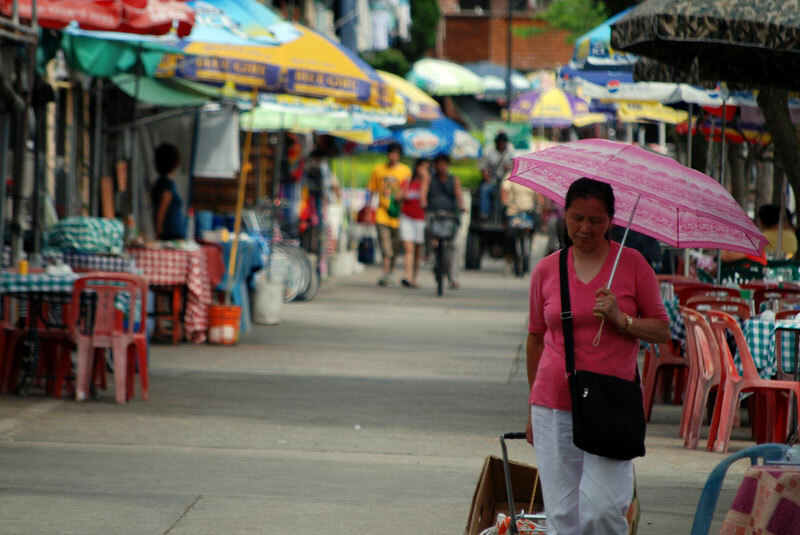 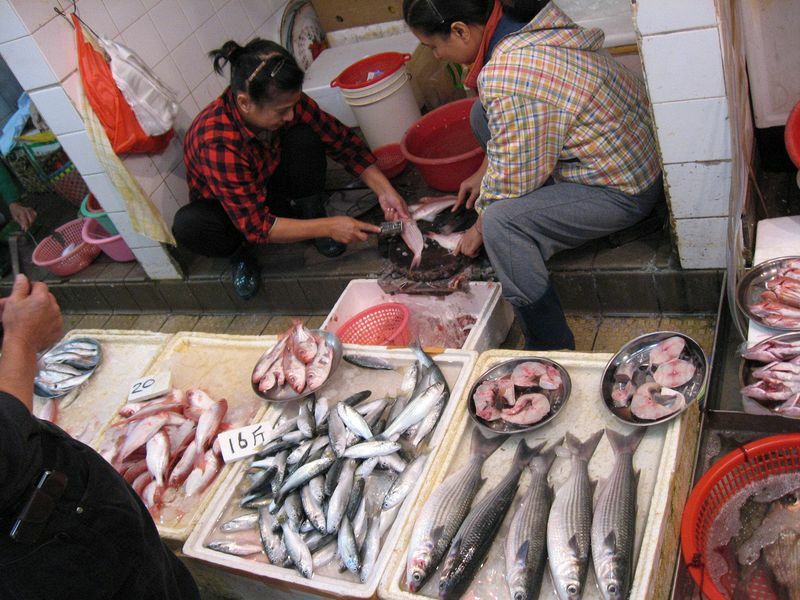 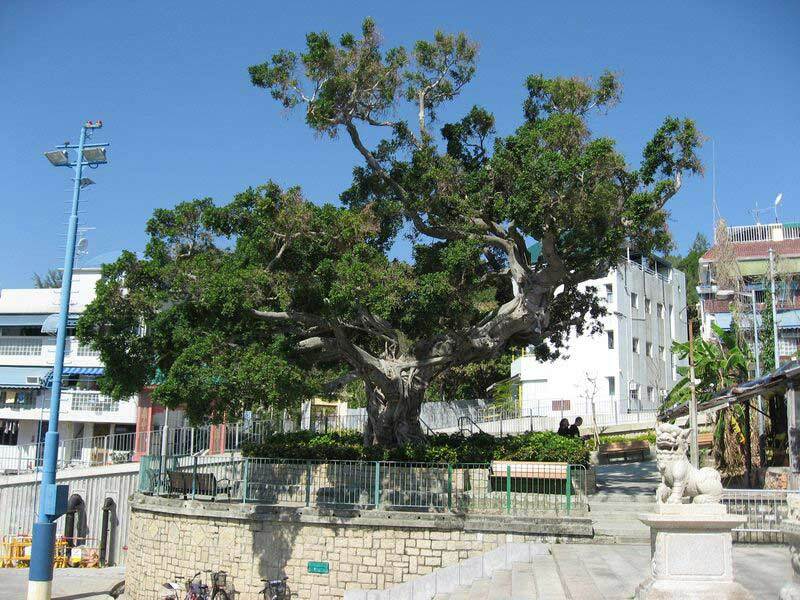 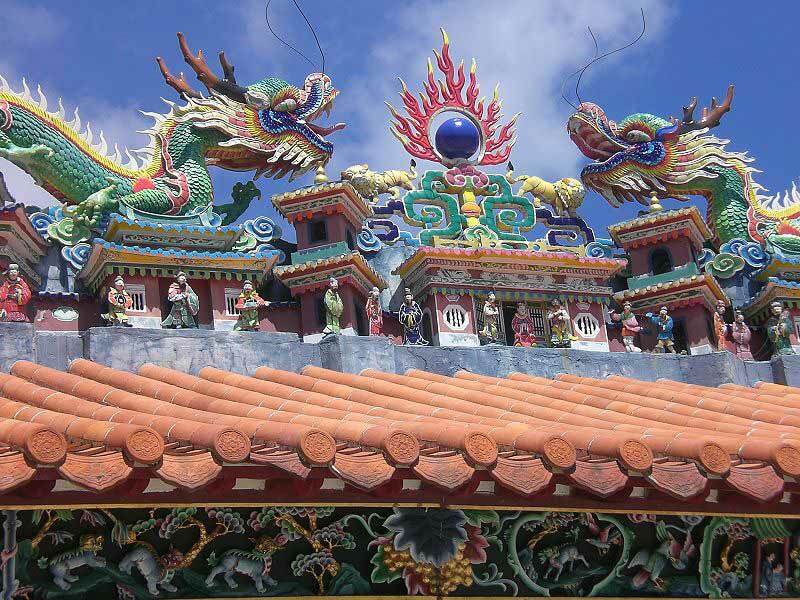 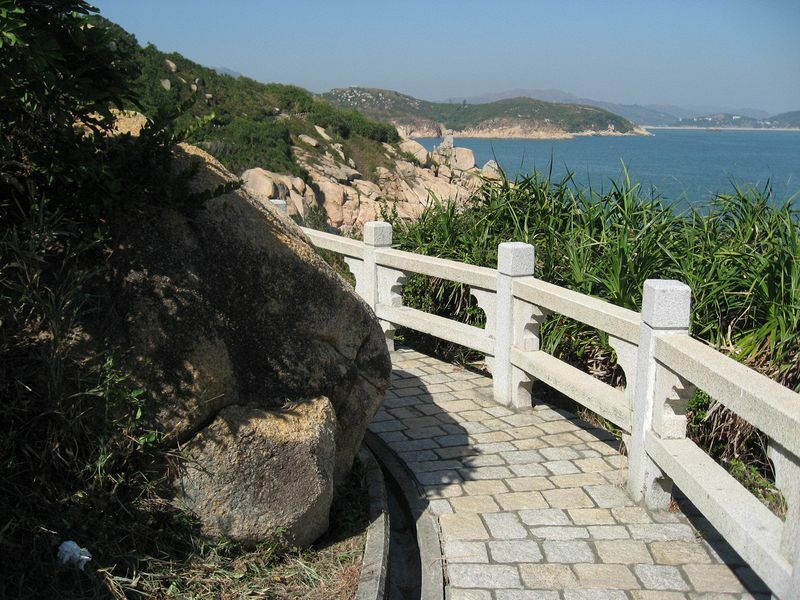 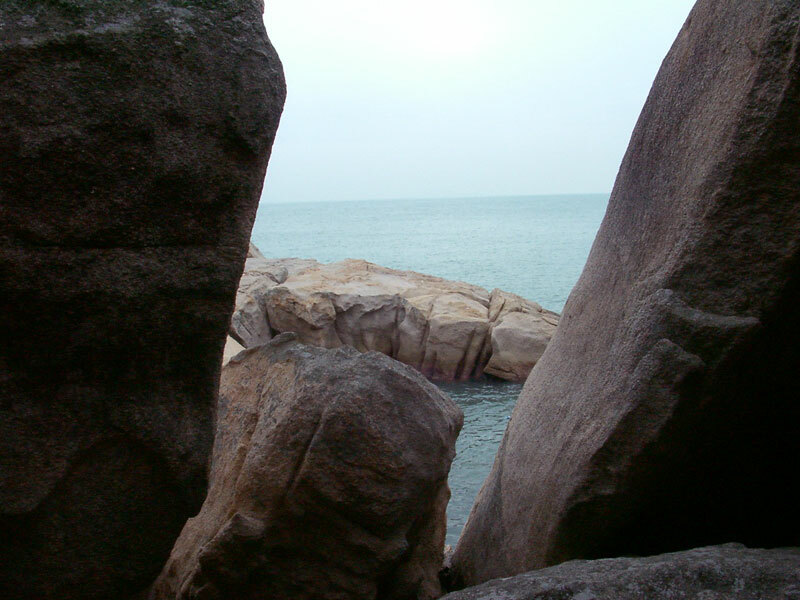 Cheung Chau is most easily accessed from Hong Kong Island Central Ferry Terminal at Pier 5 . 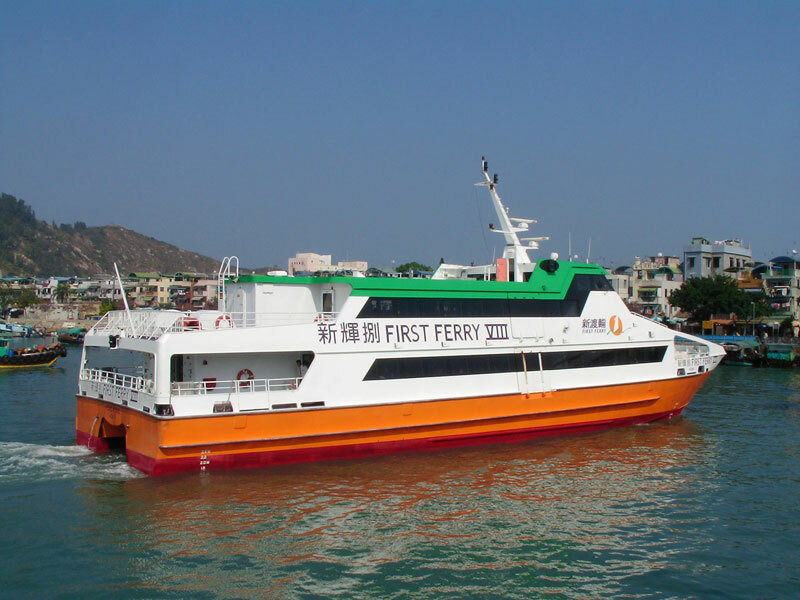 There are two departures every hour that will take either ± 30 minutes with the high speed ferry or ± 45 minutes with the regular one. 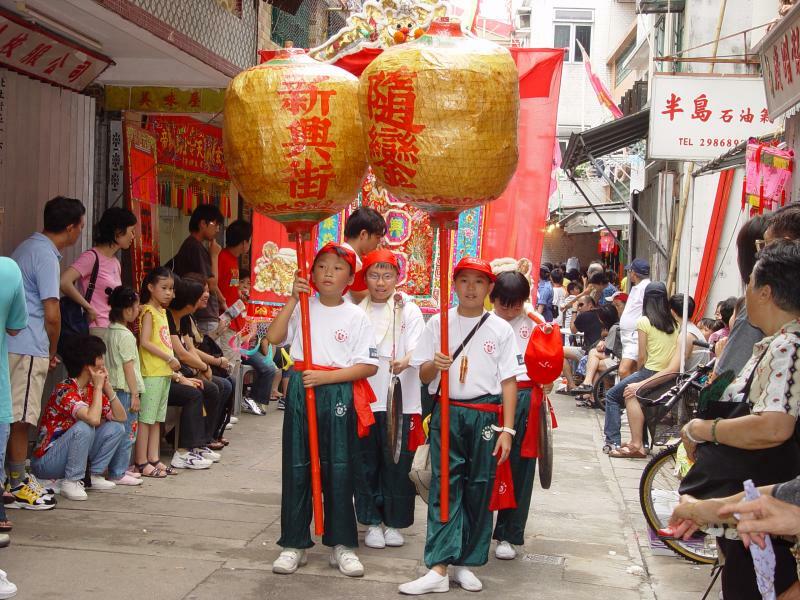 Fares are very cheap in between $15 to 30 HK.